Installation view at the Norton Museum of Art. The Pamela and Robert B. Goergen Garden at the Norton Museum of Art. Image © Nigel Young / Foster + Partners. The Norton Museum of Art’s new Ruth and Carl Shapiro Great Hall, designed by Foster + Partners, featuring Pae White’s Eikón, a 40-foot-long, 15-foot-tall tapestry. The Norton Museum of Art’s new Heyman Plaza, designed by Foster + Partners. Featuring Typewriter Eraser, Scale X (1999) by Claes Oldenburg and Coosje Van Bruggen. Northeast view of the Norton Museum of Art’s new Kenneth C. Griffin Building, designed by Foster + Partners, as seen from South Dixie Highway. This museum is internationally recognised for its comprehensive collection of more than 7,000 works, including European, Impressionist and Modern masters and American art from 1900 to the present. The Chinese collection offers superb examples of carved jades and bronze vessels, while the contemporary collection embraces art beginning in the 1960s. In addition, many historically important photographers are featured in its extensive photography holdings. The Norton also presents engaging and exciting collection- and exhibition-related tours, talks, concerts and programmes for adults and children. 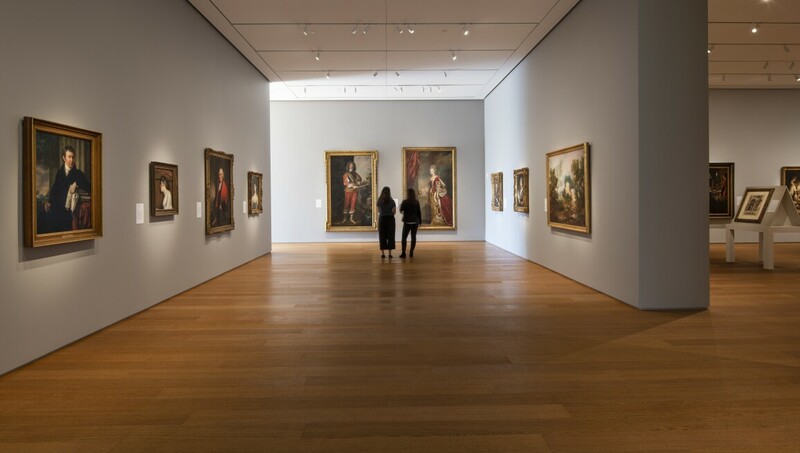 In 2019, the museum opened a comprehensive expansion designed by Foster + Partners.